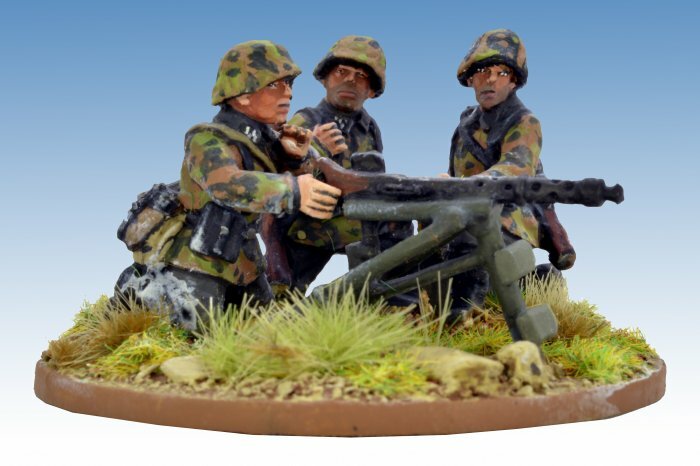 Early War German Schützen, dressed in camo smocks firing an MG34. Schützen are the precursor to the Panzergrenadiers. The camo smocks were first worn in France by the early Waffen SS. Three figures and one weapon per pack. 28mm sized metal miniatures, supplied unpainted.